Uniden AT002 on Glass Mobile Suction Antenna for BearCat Scanners with BNC antenna connector. The AT002 suction antenna is the perfect add on for mobile BearCat scanners. The AT002 allows easy take it on the road portability while extending receiver reception while inside a vehicle. 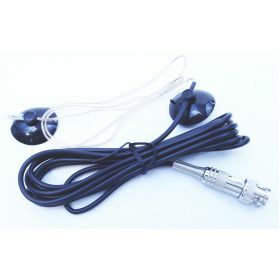 A seven foot cable allows for easily routing the antenna inside most vehicles to connect your BearCat scanner. The suction mounting cups secure the antenna inside the vehicle window, but still allow for easy removal and setup between vehicles.